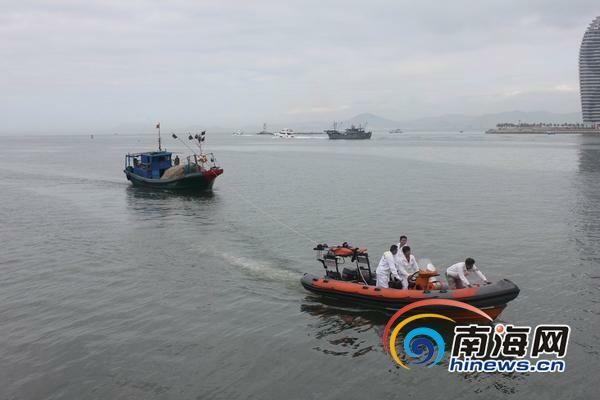 According to Sanya Maritime Bureau, an inflatable boat sent by Sanya Nanhai Rescue Station has successfully rescued 3 fishermen from the southwest sea side last Friday morning after the crew’s vessel went wrong. Around 5:00 am, the fish boat reported an engine failure and stayed for rescue on the sea. After 2 hours later, rescue team sent a speedy inflatable boat to find the crew’s location and the fish boat was safely dragged to the shore with no reported medical injuries. Rescue team said it is their first time to successfully rescue large fish boat with the help of inflatable boat.